The trophy for New Zealand's only leg of the V8 Supercars series has been named after longtime supercar driver Jason Richards. Drivers will compete for the Jason Richards Memorial Trophy when they contest the ITM 400 Auckland at the revamped Pukekohe Park Raceway from April 12-14. The one-off trophy, will go to the driver with the best combined results over the four V8 Supercars Championship races at Pukekohe Park. Richards died in December 2011 at the age of 35 after a 14-month battle with adrenocortical carcinoma, a rare and aggressive cancer originating in the cortex of the adrenal gland. "There was nothing he wanted more than to succeed in the V8 Supercars at home and I know he would be thrilled to see the event return to Pukekohe," Richards' wife Charlotte said. "To have the trophy named in his honour and to have it presented for the first time in the 50th anniversary of his favourite New Zealand race track is special." 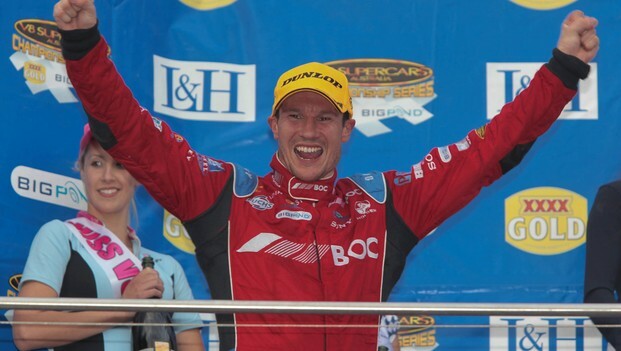 The Nelson-born driver raced in the Supercars series for 11 seasons. He won once and was a three-time podium finisher at the Bathurst 1000.